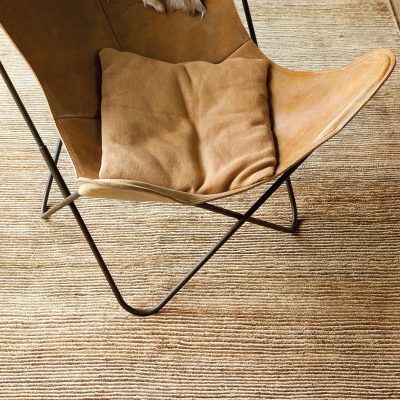 This stunning rug features a classic bordered panel overlaid with a contemporary herringbone. Hand tufted in wool and silk to give it a wonderful lustrous effect, the bordered herringbone rug can be made in any size and coloured to suit your interior. Herringbone is appearing all over the interiors fashion world currently and twisting it up with a panel and border only goes to make the design more interesting. As with all Wool Classics rugs we treat each rug as a unique piece so every aspect of the design and manufacture is decided by you. You select the shape and size, you select the colour palette from a choice of over 1200 colours and you decide what textures or feature you want your rug to have, from simple cut wool pile to carved silk, the variety is endless. For a design consultation simply call us on 020 7349 1560 or Email sales@woolclassics.com.